The average human heart beats around 100,000 times in a single day. With each beat, the four valves within the heart open and close, transporting blood unidirectionally through its chambers. By simulating heart valves, medical researchers can study their behavior to address various cardiac health issues. 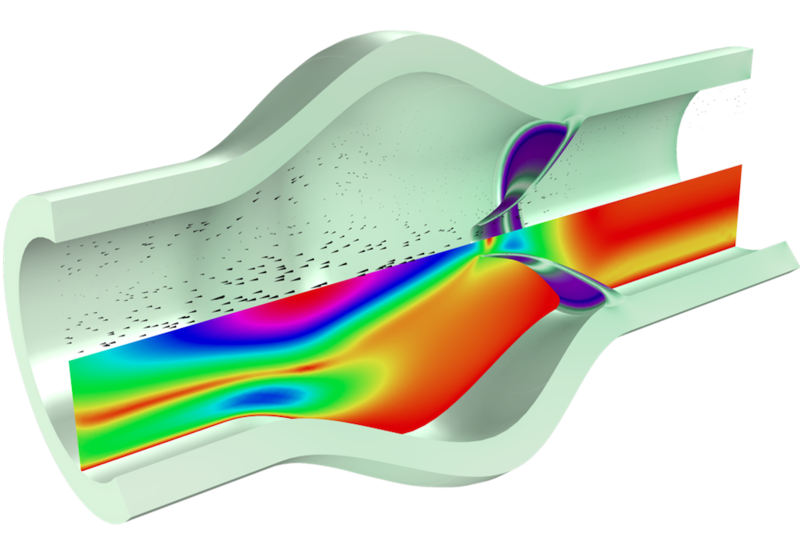 As an example, a team from Veryst Engineering modeled a heart valve opening and closing with the COMSOL Multiphysics® software. The four valves in a human heart are flexible enough to both fully open, enabling blood to flow in one direction through the heart, and tightly close, sealing the heart chambers and preventing backflow. However, with valvular heart diseases, the valves do not function properly, which can cause serious cardiac health issues. As a result, studying heart valves is an important research area. Schematic of a heart. Image by Wapcaplet — Own work. Licensed under CC BY-SA 3.0, via Wikimedia Commons. One recent advancement in heart valve research has been the development of the smallest approved mechanical heart valve in the world. This is an important achievement, as every year, over 35,000 babies in the United States alone are born with congenital heart defects. For some of these newborns, the defects result in malfunctioning heart valves that require surgery to fix. Of course, the creation of the smallest approved valve is only one example of innovation in heart valve research. 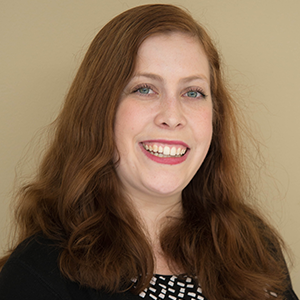 This area has also sparked the interest of a team at Veryst Engineering, a COMSOL Certified Consultant who has worked with clients on similar real-world problems. To further advance heart valve research, the team was inspired to create an example model of a heart valve. Such a model could serve as a valuable design tool, providing crucial information to medical researchers. As you might expect, modeling a human heart valve can be difficult and computationally expensive. For one, this problem involves strongly coupled fluid-structure interaction (FSI), with a moving and deforming structure interacting with a flowing fluid. In addition, it’s important to accurately account for nonlinear material behavior, contact modeling, and fluid-mesh movement. To address this challenge, Nagi Elabbasi (a member of the Veryst team) used COMSOL Multiphysics, saying that the software provides a “unique capability to capture all [of] the coupled effects involved.” Using COMSOL Multiphysics, Elabbasi created a simple example to highlight how engineers can overcome the challenges of modeling realistic heart valves and predict their behavior. In this model, a heart valve opens and closes in response to the fluid flow. Modeling this movement wasn’t easy, with Elabbasi noting that “the main challenges in this model are the closing of the heart valve and accurately representing the material behavior of the valve.” This poses an issue because the fluid mesh can collapse when the heart valve is closed. 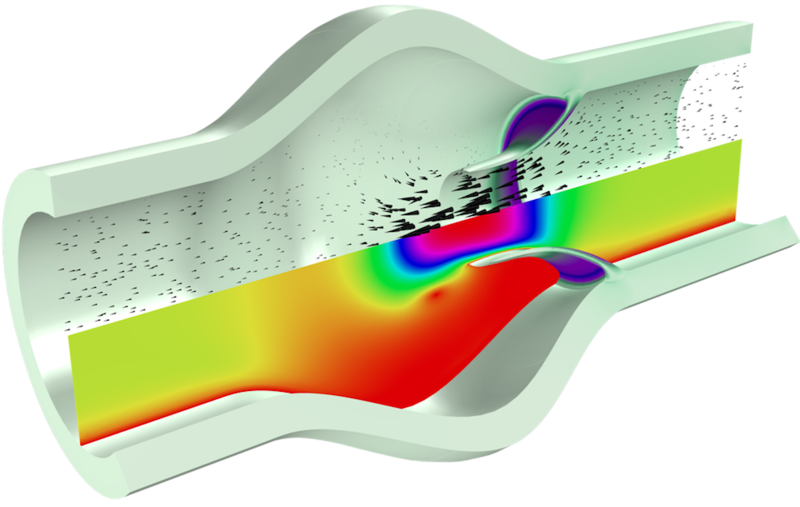 To avoid excessive mesh distortion, the team opted to use the advanced mesh control features in the COMSOL® software. Let’s now take a look at some of the results the team at Veryst obtained from their heart valve model, which analyzes flow patterns, variations, and residence times; flow recirculation around heart valves; and how these factors are affected by the movement of a valve. It’s also possible to use the model to investigate stress and fatigue in the valve material as well as blood pressure, shear stresses, and deformation. The team also found that simulation enabled them to analyze multiple aspects of the heart valve at once, such as the interaction between blood velocity, valve deformation, and von Mises stress in the valve. The model results (seen below) show that there are dead flow zones around the valve and recirculation in the fluid. Both of these factors are affected by the opening and closing of the valve. 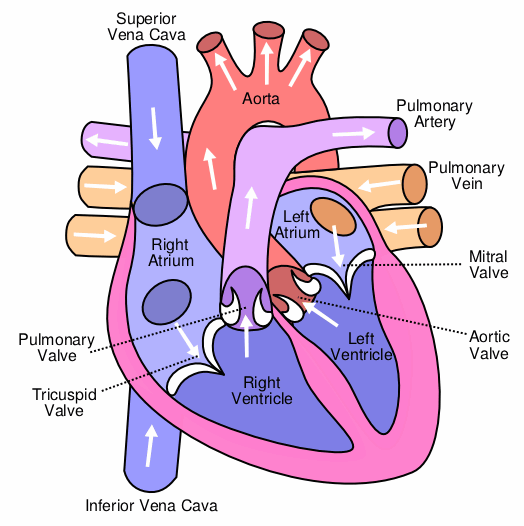 In addition, the root of the valve has high stresses. Researchers can use these results to identify potential issues and improve the designs of artificial heart valves. Please note that because this example was made only to demonstrate what you can achieve when modeling heart valves, the results seen here are not completely realistic. FSI model of a heart valve opening (left) and closing (right). Multiphysics models can also be used to visualize a heart valve in action, as shown in the example below. Animation of a heart valve. Animation courtesy Nagi Elabbasi of Veryst Engineering. This example shows what medical researchers can achieve by using FSI simulation. Using models like this one, researchers and engineers can predict the behavior of real heart valves, potentially using this information to improve the designs of artificial ones. Elabbasi also mentioned that “FSI modeling should be performed by all medical device companies working on heart valves, providing related products (stents, for example), or analyzing cardiovascular diseases (aneurysms, for example).” The information provided by such simulations will help improve the design of medical devices, making them more effective in treating diseases. Is this model in COMSOL model gallery?